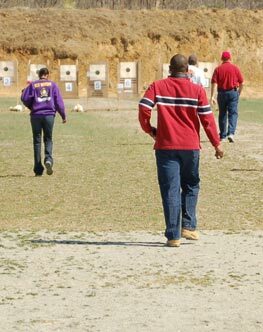 Every year, we field a team of competitors to compete at the CMP Regional Games held at Camp Butner. Our matches have three stages for record: Prone slow fire, Prone Rapid Fire, and Offhand. Not only do we award our best shooters every year, we also raffle off an M1 Garand. 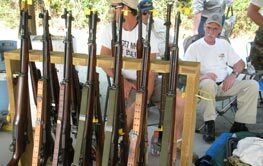 Our big event, a Garand-only match in honor of one of our founding members. Held every year in June. 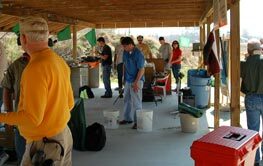 We start the season with a clinic, and we have experienced shooters who will help you out with your marksmanship at every match. Membership in our club is not required, and you may shoot any safe rifle that allows you to follow the course of fire. We encourage new shooters to come out and try a match, and we will loan you everything you'll need . The weather held off last weekend as 13 shooters came out for the October match. A shower did provide a little rain but we were able to get in both relays. Tony Simonetti took top honors in the modern military category posting a score of 292-11X. 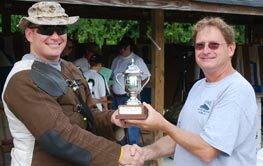 In the GSM category Chris Hymen was the top shooter posting a score of 281-4X. Full match results can be found on our website. The weather held off last Saturday and although it was hot and humid, it was a great day to be on the range. Congratulations this month go to our match winner Dewey Hales with a score of 284.04. Congratulations are also extended to Tony Simonetti, winner of the modern military class with a score of 279.02. Complete match results are posted below. For the last several years, we have hosted a sniper match as a bonus match during the summer. This year we changed gears a little and opted to host a service pistol match as our bonus match. We held our inaugural pistol match this year on June 30th and had a great turnout. 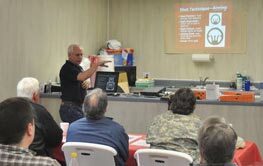 Rifle shooters who haven’t been out in a while were able to return to the range and show their handgun skills. DEGS was formed in 2009 and is a CMP-afilliated club. Copyright © 2019 Down East Garand Shooters. All Rights Reserved. Designed by JoomlArt.com. Joomla! is Free Software released under the GNU General Public License.